How do you lose a child? It’s not so hard, really. You simply make one irredeemable choice. You ignore the warning bell that rings in your head, because it’s not a bell at all, you know? It’s just the gnat of a thought that’s too easily brushed aside. But in the scheme of things, it turns out that it’s the mother of all bells, made up of all the noise in the universe. You just don’t happen to hear it. Can you imagine? Since that first irredeemable choice was so easy, I’m planning another. But I’m finding the serendipitous ones, the ones that are completely spontaneous, are so much easier. It’s one of those mysteries of the universe, like blinking out your last contact lens into the sink just as the water is swirling down your vanity drain along with the toothpaste you swished out of your mouth. You could try to do the same thing on purpose for a hundred years and never manage to do it. As David and I sit across from each other at the dinner table, he pretends not to enjoy his meal. He downplays everything on my account these days. He toys with every bite, as I do in earnest, but he manages to clean his plate, while I don’t even come close. I rebuke myself for every morsel I swallow, for going through the motions of normalcy when things are so colossally abnormal. 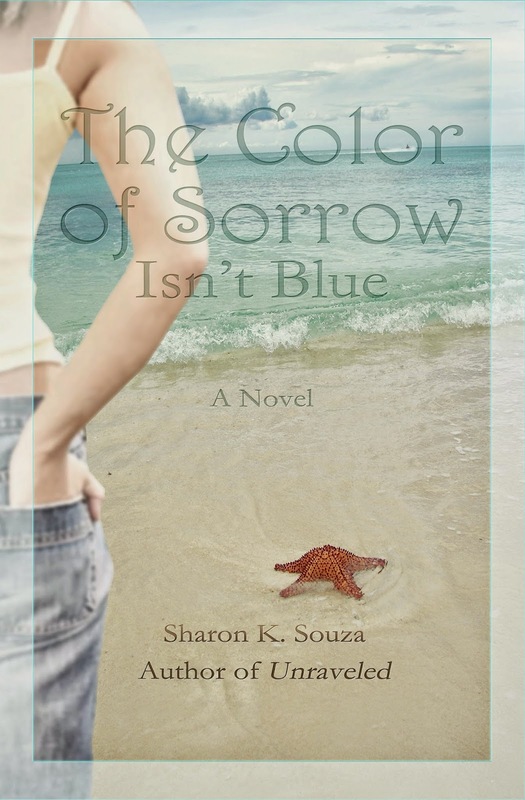 An excerpt from The Color of Sorrow Isn't Blue, by Sharon K. Souza, which releases October 8. Available at Amazon.com. Oh. Sharon. I'm pulled in. I can't wait to read this book. I AM reading it! It's wonderful! Wow - your writing is amazing. I already care about these characters. Diane and Karen, thank you!